Ben Franklin Tree (Franklinia alatmaha) This flowering tree is a descendant of those discovered by American botanists John & William Bartram in 1765 in Georgia. 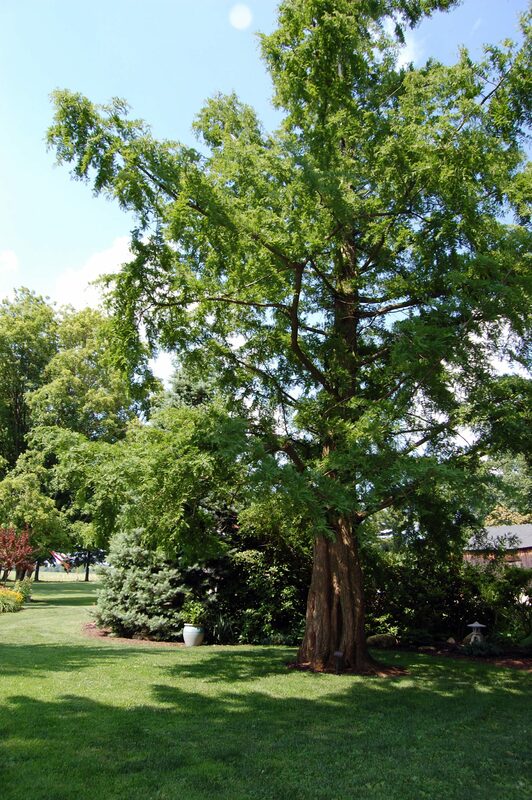 The Bartrams brought seed back to Philadelphia, propagated them, distributed saplings, and named the tree after their great friend, Ben Franklin. 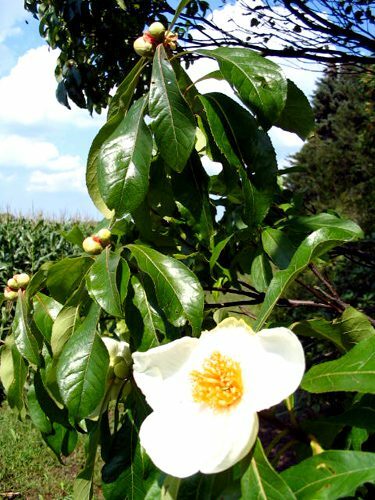 Because Franklinia was never again seen in the wild after 1803, the Bartrams are credited with saving it from extinction. Knowing its history, the sisters ordered three saplings in 1962, one of which survives today. The white, fragrant flowers bloom at Goodell Gardens from September through October. Carrie planted this tree in 1952 after learning of its “rediscovery” in China in 1944. Called a “living fossil,” this ancient species was once believed to have become extinct. In 1948, Harvard University sent an expedition to collect seeds and, soon after, made seedling trees available to the public. Carried paid $14.83 for a sapling and noted in her garden diary that this was the most she ever paid for one plant in the garden! Closely related to the Giant Sequoia (Sequoiadendron giganteum) and Coast Redwood (Sequoia sempervirens) of California, this species is a deciduous conifer, which sheds its needles in autumn. It is known for its beautiful, soft needles and buttressed trunk.